If prepping your skin for the ravages of winter and supporting your local grassroots businesses are priorities that rank high on your list, consider moseying down to sunny Valencia Street and crossing one more thing off your to-do list at Fix Studios. The brainchild of aestheticians Leisa Askew and Leslie Nichols, Fix Studios is a one-stop shop for all your skincare needs. The perfect product to maintain your glow throughout the dark days of December? A facial to impress tonight’s hot date? Brow maintenance or a Brazilian wax while you’re running your errands? Askew and Nichols, who opened Fix Studios this past June, are more than happy to help. 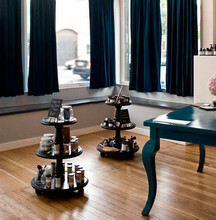 Fix Studios, which shares space with Luxaskin, the spa’s organic skincare retail shop, is airy, bright, and welcoming. Far from the FiDi spa that both Askew and Nichols worked at before setting up a shop on their own, this is the kind of cozy neighborhood nook that immediately augurs personalized attention and a leisurely pace. “It was always our intention to spend more time with clients, rather than feel like we were part of a busy machine,” says Askew, who quickly tired of the mechanical stride of busier, larger spas and decided to focus on detailed client care instead. Now, Askew and Nichols work alongside only one other staff member on everything from clinical-grade chemical peels to waxing, to a variety of different facials. “Eyelash extensions are particularly popular for the holiday season,” Askew says. Askew says Luxaskin began as a product line when she began working during off hours and doing a ton of research on the best ingredients for effective skincare. After meeting Nichols, the two decided to start a line that would utilize natural bases in addition to advanced ingredients, high-tech peptides, and rare formulations. Ranging from a variety of cleansers, tonics, and moisturizers to multi-peptide serums and body care products, Luxaskin products are effective for people who are chemically sensitive and those who are able to withstand more potent ingredients. But unlike department-store products, they aren’t full of parabens and fillers. 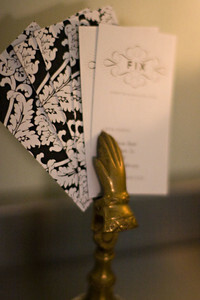 Fix’s storefront location is also another major plus for foot traffic and local attention. Askew and Nichols, who both live in the Mission, had initially considered finding a downtown location, but quickly realized that they’d be filling an important niche by opening a spa in a neighborhood instead of the Financial District. For the winter season, Askew and Nichols encourage clients to remember that like anything else, their skin is growing and changing. It’s going to be different from day to day, so it’s important for people not to be afraid to have a couple different cleansers or moisturizers on hand. They also encourage clients to layer products. While most people prefer to have one product that does everything, that is generally not possible. Askew recommends switching to an emulsion or oil cleanser for the season, such as Luxaskin’s Deep Cleansing Facial Oil, which contains polyphenols, beta carotene, sea buckthorn oil, and camellia seed oil, to make skin soft and supple without stripping it. Aside from their yummy signature facials and skincare products, another thing that sets Fix apart from the typical day spa is its commitment to eco-friendly practices. The product line is constantly evolving, Askew says, but she and Nichols strive to keep packaging simple and make their own labels. All products are blended and bottled on site to prevent unnecessary waste. Askew and Nichols compost all of their facial supplies and recycle all materials to ensure that they don’t contribute to the excessive waste that is oftentimes part and parcel of the spa experience.